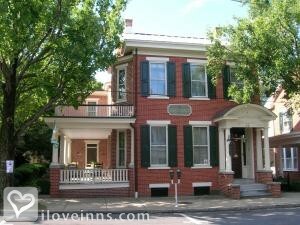 Lititz bed and breakfast travel guide for romantic, historic and adventure b&b's. 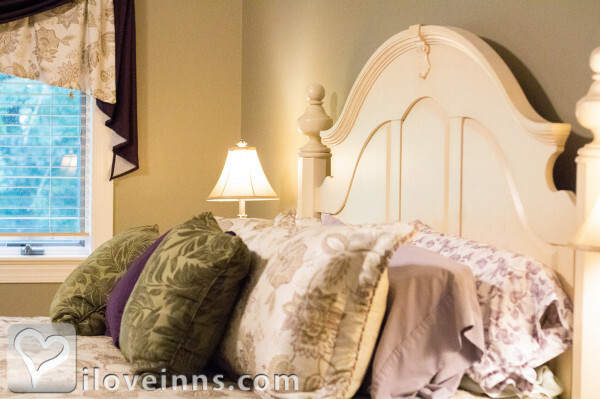 Browse through the iLoveInns.com database of Lititz, Pennsylvania bed and breakfasts and country inns to find detailed listings that include room rates, special deals and area activities. You can click on the 'check rates and availability' button to contact the innkeeper. A wonderful historic town that embraces friendly meetings on the sidewalks, chatting with neighbors on the porch, small owner run shops and fun events year round. By The Alden House. The energy, the culture, the heart; Lititz has it all! We were voted America's coolest small town in 2013 and continue to live up to the reputation. Come see for yourself! By The Alden House. Lititz is a wonderful historic town. Voted best small town in America for 2013 and has the oldest 4th of July celebration in the country. Come and roam our shops and historic buildings. By The Alden House. Small historic town, best know for Wilbur Chocolate and Sturgis Pretzels. It has the oldest 4th of July celebration in the country. Come and enjoy many small shops and friendly atmosphere of our town. By The Alden House. 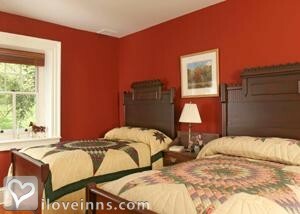 Select an inn or bed and breakfast in Lititz, PA and enjoy the charm and history of the 18th-century. Stroll along tree-lined streets with unique shops, inns and galleries. Attractions include the Wilbur Chocolate Factory, Sturgis Pretzel House, Lititz Springs Park, the Train Station/Welcome Center, the Moravian Church, the Lititz historical museum, and Linden Hall School for girls. Dine at the General Sutter Inn (opened in 1764), experience high tea at A Perfect Blend, watch the chocolate fountain at Cafe Chocolate, enjoy local specialties at Lititz Family Cupboard, grab a quick bite at Issac's Restaurant & Deli, or enjoy a platter of wings at Scooters Restaurant. Just north of Lititz, enjoy motor-free water sports on Speedwell Forge Lake, and visit 40 wolves at the Wolf Sanctuary of Pennsylvania. Speedwell Forge Park offers 400 acres of hiking trails and 125 species of birds! By Speedwell Forge B&B.